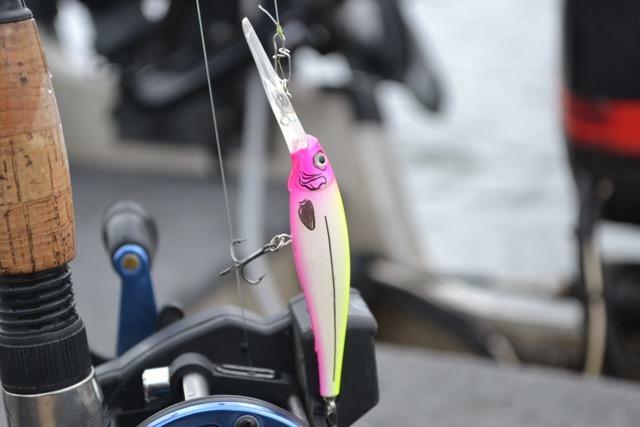 Trolling crankbaits for walleye is the ultimate team sport. Jake Jadlowski shares his tips. 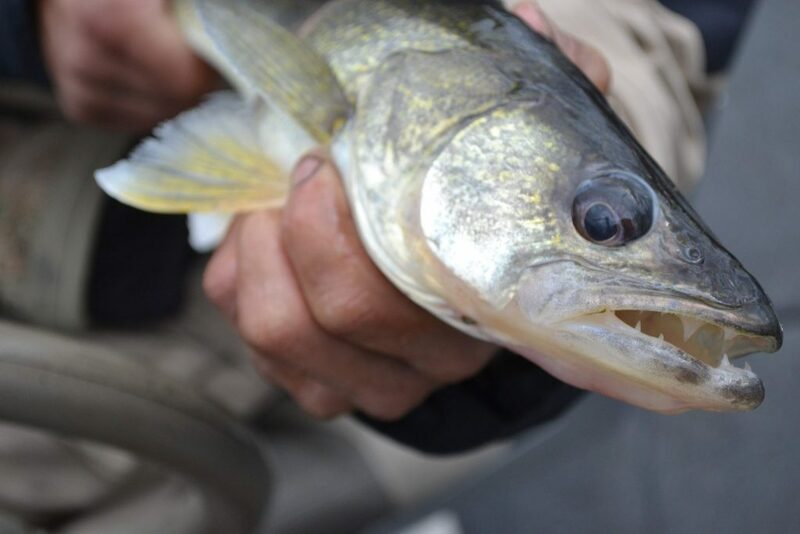 Brett Smith holds this Nebraska walleye close to the camera after removing the crankbait from its sharp jaws. Photo by Jake Jadlowski. 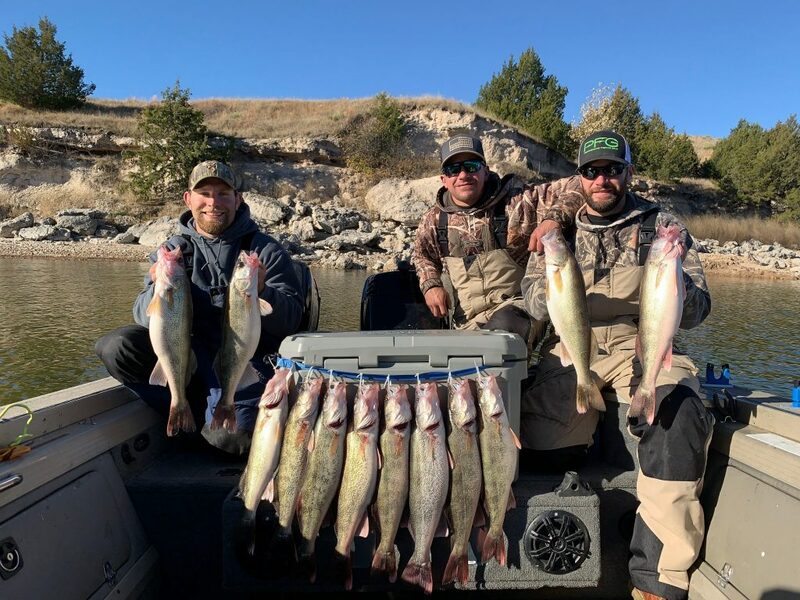 Rod Holders – In addition to being able to maintain and control your rod tip, these allow you to run more than one rod and they keep your hands free so that you can help a buddy get untangled or land a fish. 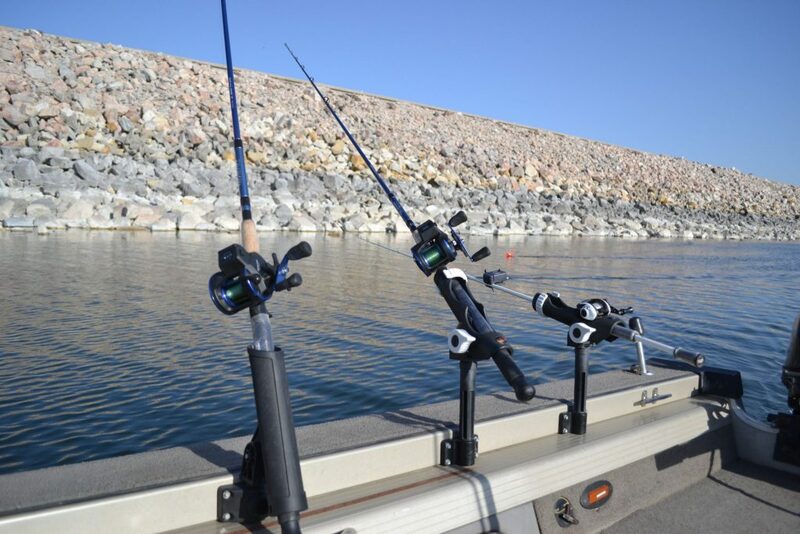 In combination with the Precision Trolling app, using a line counting reel is the most accurate way to determine the depth that a crankbait will run. Photo by Jake Jadlowski. Precision Trolling App – Line counters are awesome, but they don’t tell you the whole story. They simply tell you how much line has come off the spool. They don’t tell you how much line to let out to get a certain crankbait to run at the depth that you want. They don’t tell you how to adjust that number when you change to a different type of crankbait. And they don’t tell you how the particular brand of line, type of line, and pound test line on your spool alters the depth that a crankbait will run. But the Precision Trolling app does. Simply enter the line that you are using, the crankbait that you have tied on, and the depth that you want to achieve, and the app instantly tells you how much line to let out. Buy it in the App Store. 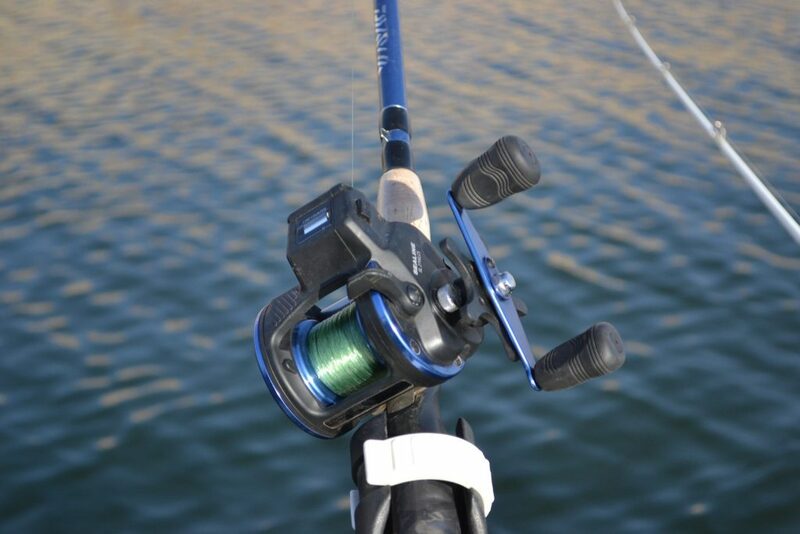 A guy could make a strong argument that it’s the most important piece of equipment in the boat. Quick clips connect the angler’s line with the eye of the crankbait so that fast changes can be made without having to retie each new lure. Photo by Jake Jadlowski. Quick Clips – Once you are armed with a line counter and the Precision Trolling app, you’ve unlocked the mystery of your crankbait box. Tie on as many as you need to until the fish tell you want they want. Better yet, tie on a quick clip once and snap on cranks as fast as your heart desires.